AWS Storage Gateway is a tool in the Data Backup category of a tech stack. Who Uses AWS Storage Gateway? Here’s a list of reasons why companies and developers use AWS Storage Gateway. 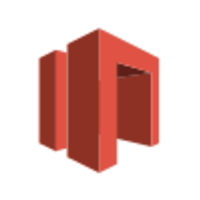 Gateway-Cached Volumes – Gateway-Cached volumes allow you to utilize Amazon S3 for your primary data, while retaining some portion of it locally in a cache for frequently accessed data. 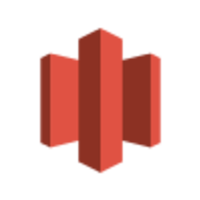 Gateway-Stored Volumes – Gateway-Stored volumes store your primary data locally, while asynchronously backing up that data to AWS. Data Snapshots – Gateway-Cached volumes and Gateway-Stored volumes provide the ability to create and store point-in-time snapshots of your storage volumes in Amazon S3. Gateway-VTL – Gateway-VTL provides you with a cost-effective, scalable, and durable virtual tape infrastructure that allows you to eliminate the challenges associated with owning and operating an on-premises physical tape infrastructure. Secure – The AWS Storage Gateway securely transfers your data to AWS over SSL and stores data encrypted at rest in Amazon S3 and Amazon Glacier using Advanced Encryption Standard (AES) 256, a secure symmetric-key encryption standard using 256-bit encryption keys. Durably backed by Amazon S3 and Amazon Glacier –The AWS Storage Gateway durably stores your on-premises application data by uploading it to Amazon S3 and Amazon Glacier. Amazon S3 and Amazon Glacier redundantly store data in multiple facilities and on multiple devices within each facility. Amazon S3 and Amazon Glacier also perform regular, systematic data integrity checks and are built to be automatically self-healing. Compatible – There is no need to re-architect your on-premises applications. Gateway-Cached volumes and Gateway-Stored volumes expose a standard iSCSI block disk device interface and Gateway-VTL presents a standard iSCSI virtual tape library interface.